This article was originally written for and published by the International School Leader Magazine. 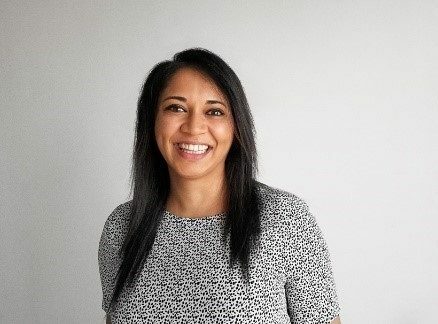 Author: Jalak Patel (Senior Educational Psychologist at Real Group Ltd which provides e-learning, training and assessment specialising in special educational needs and inclusion). I was reminded of this recently when talking with a head teacher who had been observing the quality of interactions between staff and students in her school. She noted that there appeared to be some staff who naturally adopted a more positive, inclusive manner when engaging with students and others who were less so. Interestingly, she recognised that these differences existed across all areas of the school community. She wondered if whole school training might provide an answer. For whole school training to have any real impact, my experience has taught me that certain factors have to have been considered beforehand. What does the senior leadership team want to achieve? Moreover, what do they truly believe in? Before we can ask others to ‘do as we say’, we have to examine our priorities and make sure that they are in line with our purpose. Welcoming a diverse range of students into our schools will undoubtedly make our classrooms a more interesting and vibrant place to learn. However, it may also lead to a change in the academic outcomes that many international schools have traditionally strived for. Do we truly value a student’s incremental progress against what they could do last week, last month or last year? Or is the message sent to staff that academic outcomes still outweigh other considerations? What does whole school mean? When we say ‘whole school’, how often do we really include the whole school? When was the last time that you included teaching assistants, school administrators and lunchtime supervisors to whole school training? What about your school caretaker? International schools operate within a wider cultural context, and levels of understanding around interacting with and supporting students with additional needs may vary. Being able to articulate a shared understanding of inclusion and its importance is an important step when contemplating change. Including all members of staff in training, while immensely valuable, naturally leads to some logistical concerns: we tend to think of English as our main language of instruction but is it useful to consider whether another language of delivery might be more appropriate for some members of staff? Is the training being delivered at a time that is convenient for all? Are part-time staff expected to come? Will everyone be paid for the time they are there? These are all important considerations when we want to maximise the impact of whole school training. For inclusion to work we need everybody to understand and be on board. We also need staff to be able to share their concerns and anxieties in a welcoming environment. For some staff, this may be the first time that they are going to be working with students who require some level of differentiation. For others, they may be concerned that their competence will be called into question. Effective senior leadership, in the form of an open door, a listening ear and a safe space, can help to alleviate these anxieties and lead to solution-focused conversations. The model of training adopted by a school may go some way to develop not just knowledge and understanding of inclusion but also everyday practice. We know, from research into good practice, that an effective model of whole school training includes the delivery of knowledge and key concepts, modelling and demonstration, and opportunities for practice alongside developmental feedback, coaching and mentoring. For inclusion to become embedded as part of our everyday values and behaviours, planning effective whole school training should include opportunities for all members of the school community to be involved in these different stages of development. Change takes time. In the context of a fast-paced school, it can be difficult to recognise and celebrate small steps of success. Having a clearly defined action plan, with sufficient time to implement each stage, and opportunities to monitor and reflect is key. Including everyone in discussions around ‘what works’ and ‘how we can improve’ may lead to some interesting and innovative ideas for the future. In settings where there can often be a high level of transience – in either the senior leadership team or in the wider school community – it will be important to revisit all aspects of the plan on a regular basis. Whole school training is most effective when the process itself is as inclusive as the ethos that schools are working towards; where there is a shared vision held by all, a clear approach for working towards mutually agreed goals, opportunities for solution focused conversations to take place and celebration of all achievements, no matter how large or small! What are your school priorities for the coming year? Consider how inclusive they are. Have you seen examples of good practice that you admire? Speak to colleagues in other settings about how they have achieved their goals. Inclusion doesn’t just happen within the four walls of a classroom. All facets of the school community need to be considered – people, building, teaching styles and learning materials. Be aware of the wider cultural context in which your school sits. To be truly inclusive, there needs to be a shared vision of what inclusion means and what this looks like in your school. Every single member of the school works together to ensure that all learners feel respected, valued and supported to achieve their goals. What are your plans for World Autism Awareness Day? In case you hadn’t heard, today is World Autism Awareness Day. In fact, it’s World Autism Awareness Week all this week – is your school doing anything special to mark the occasion? For us, the Autism module on our masters-level SEND Programme is always a popular course and we are busy preparing for the next cohort starting in May. According to a survey carried out by the National Autistic Society, 7 out of 10 parents of children with autism said ‘it had not been easy to get the educational support their child needs”. If you think that some in-house expertise in Autism would be beneficial for the children in your setting, you may be interested in our flexible and practice-led Autism Spectrum Conditions module which is possible to complete online within a year. In fact, you can achieve a Postgraduate Certificate in Autism Spectrum Conditions if you also decide to take a deeper dive into Autism by completing our Evidence and Pedagogy for Inclusion module. Why is May a good time to start? Complete much of the reading and project preparation work during the summer holidays. Implement projects and strategies as soon as you are back at school in the new academic year. Finish writing up your assignments in the Spring term, when there are fewer school commitments. 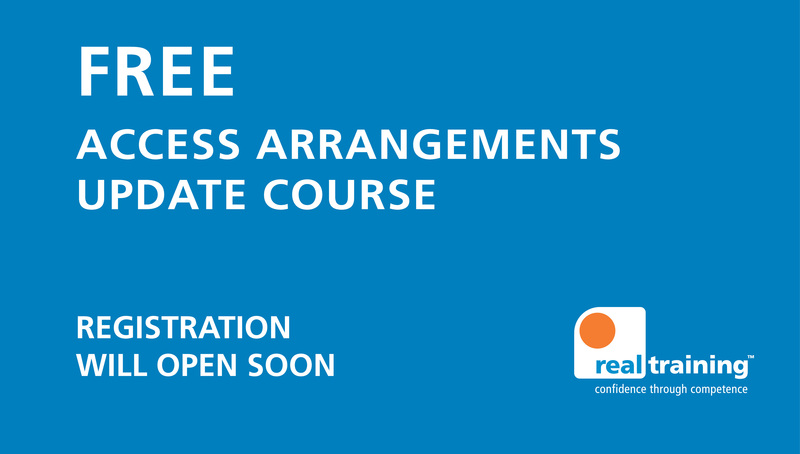 Visit our page to find out more about the course. To book onto our May cohort, please complete our online booking form and we will then be in touch straight away to progress your booking. You will need to be working in an educational setting and have completed an undergraduate degree to be eligible for the course. However, if you have not completed a degree and are keen to join the programme, you can complete and submit an assignment to show that you are ready to study at level 7 – contact us for more information regarding this route. 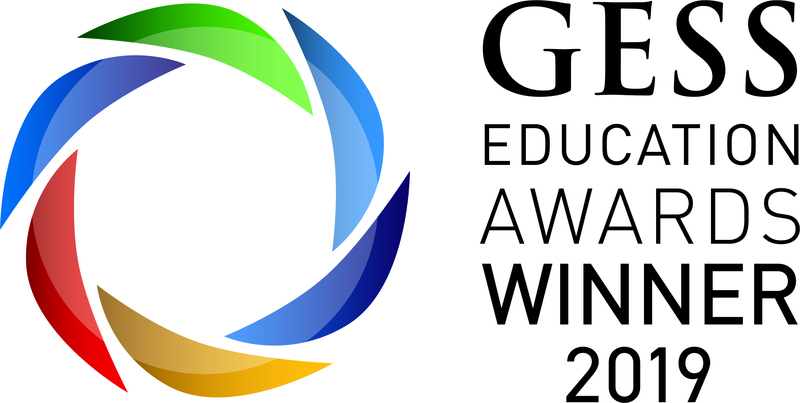 Last month, Real Training was awarded SEN Resource Supplier of the Year at the GESS Global Awards ceremony in Dubai. In addition to this, our SEND Programme was highly commended in the Special Education Resource category at the Education Resources Awards (ERA) last week. We are so excited to have been acknowledged in these established industry awards as it gives us great confidence that our courses and qualifications are valued by acclaimed leaders and experts in the education sector as well as our own customers. Of course, one of our latest additions to our established SEND Programme is our International Award in SEN Coordination (iSENCO). This is a unique qualification designed and developed with – and exclusively for – educational professionals working in an international setting. The iSENCO qualification aims to develop the delegate’s skills in leading the Special Educational Needs and Disabilities (SEND) provision at an international setting. This includes looking at current challenges facing international schools when looking to develop a fully-inclusive setting. Delegates will gain a deeper understanding of how the wider cultural, political, historical and community contexts influence the school’s SEND provision. Through Real Training’s practice-led learning model, delegates will be reviewing current SEND and inclusion policies and implementing strategies to make a difference in their setting throughout their learning journey. Take a look at our iSENCO page for more information on course content. iSENCO is an ideal qualification for the school’s SENCO, the Inclusion Manager or maybe a current teacher who is an aspiring leader in SEND. 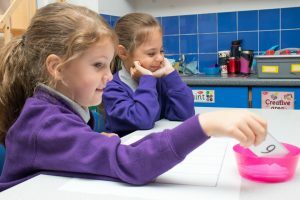 Although they need to have completed an undergraduate degree, they do not need to hold the UK Qualified Teacher Status (QTS), unless they wish to complete an additional module to gain the UK’s mandatory qualification for mainstream school SENCOs – the NASENCO qualification. 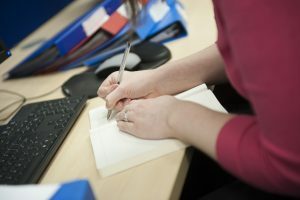 If you are ready to book yourself, or a colleague, onto the iSENCO course please complete our simple booking form today and we will be in touch straight away to progress your booking, ready for the May 2019 cohort. This is a great month to start, as the delegate will have time to complete much of the reading and assignment preparation over the summer holidays and therefore be ready to implement positive changes in their setting in the new academic year. Are you looking to become a qualified Access Arrangements Assessor ready for the next academic year? With our intensive CPT3A qualification, you still have time. Our Certificate in Psychometric Testing, Assessment and Access Arrangements (CPT3A) comprises the Certificate of Competence in Educational Testing (CCET) and the Access Arrangements Course (AAC) to meet the Joint Council for Qualification’s (JCQ’s) requirements for qualified assessors, as long as you also hold a qualification to teach. How can you benefit from the CPT3A qualification? Select, administer and evaluate a wide range of educational tests and assessments. Read, write and interpret reports, allowing you to better support other professionals, such as educational psychologists. Provide better in-house support to all children and parents at your setting. Purchase psychometric tests that would otherwise be restricted and gain a 10% discount through the Dyslexia Action Shop. Join our SEND Programme with 30 credits towards a postgraduate qualification. Complete access arrangements applications in your setting as a qualified Access Arrangements Assessor in line with JCQ requirements. Record your qualification on the British Psychological Society‘s (BPS’s) Register for Qualifications in Test Use (RQTU) and access their database of test reviews. If you’re looking to be qualified to apply for access arrangements in October, we recommend our CPT3A intensive route – one of the 3-day intensive CCET courses in May, followed by the 1-day intensive AAC in June or September – this should allow you to be qualified in time. If these dates or venues are not suitable, please take a look at our dedicated CPT3A page online for details of all available intensive courses. Alternatively, CCET and AAC can be completed as online modules, to be started as soon as you are ready. If you wish to discuss the CCET or CPT3A study options in more detail, please contact us. Join us in London on 15-16 May to learn about an alternative and unique way to effectively assess your student’s progress. The principles, key questions and concepts of dynamic assessment and how they apply to CAP. The different models of cognitive processes and the seven functional domains of cognitive abilities. The contents of the CAP toolkit and how to use this to develop informed and effective interventions. 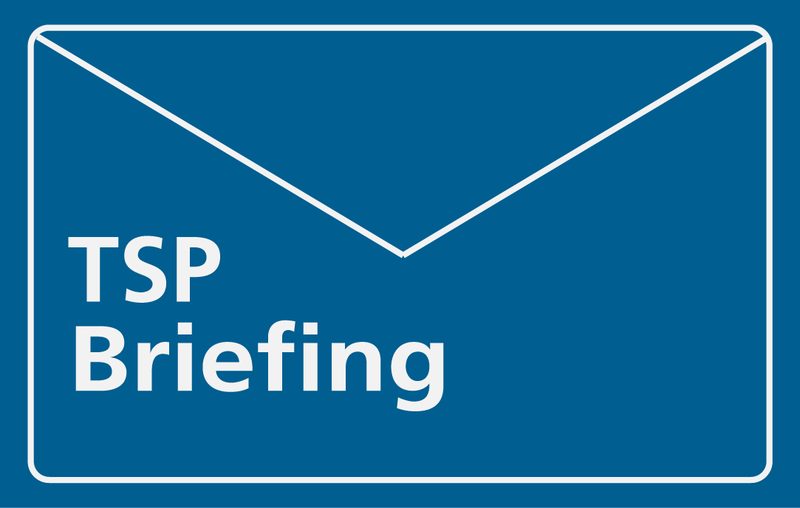 We advise you to purchase a CAP toolkit in advance of the event. This can be purchased on the Dyslexia Action Shop website. The course is open to anyone who works in the learning and development of children, adolescents and adults, and is particularly relevant for psychologists, therapists, teachers and SENCOs. Book now to attend our 2019 course on 15-16 May at the Novotel London City South hotel. To find out more about the Cognitive Abilities Profile training, please visit our dedicated CAP course page online. Alternatively, you can ask our course advisors any unanswered questions by contacting us. We have been told that staff training often gets overlooked as this is something that can be seen as an avoidable expense. But what if staff training actually saves you money, meaning that you have extra budget to spend on other important areas? CCET Training – what is it? 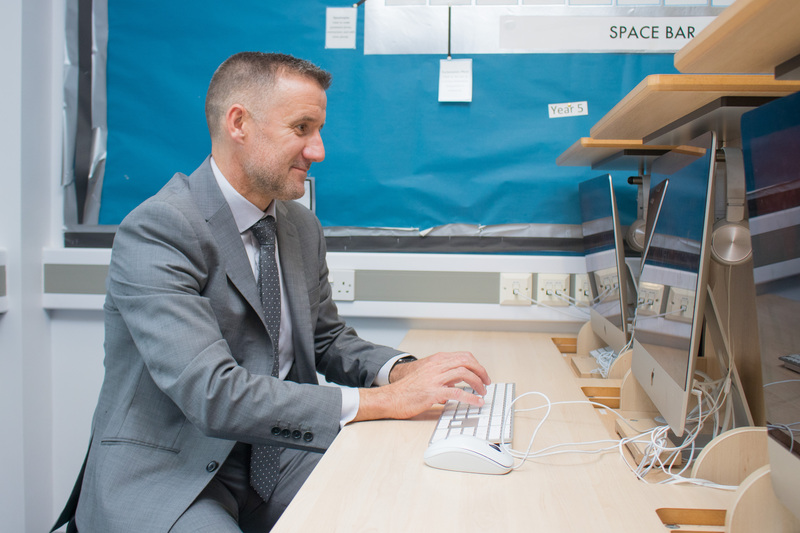 Every school needs to undertake student assessments during the year – tests to assess for progress as well as for special needs. Many schools invest in Educational Psychologists (EP) or Specialist Teachers to carry out these tests on the school’s behalf. However, did you know that our Certificate of Competence in Educational Testing (CCET) qualification trains educators on how to carry out these services in-house? This can, therefore, lead to reductions in spending on outsourced services or perhaps simply means you are able to afford more meaningful services from your EP or Specialist Teacher, rather than just the standard assessments. The CCET training is an open-access course so we welcome applications from any of your staff members. However, it is worth noting that the qualifications they hold in addition to CCET will determine which tests they will be able to purchase from the test providers. Please contact us on 01273 358080 for further advice on this. If you are interested in either of these courses, you can book now via our simple online booking form. For further information regarding the course content, please visit our dedicated CCET page online. You can also visit our Certificate in Psychometric Testing, Assessment and Access Arrangements (CPT3A) page if you are interested in your colleague also becoming a qualified Access Arrangements Assessor. Since we launched CCET in 2006, we have trained over 2500 teachers, SENCOs and other professionals and they are now carrying out educational testing for their schools in the UK and all over the world. If you are interested in investing in in-house expertise in this area and have unanswered questions, please contact us. We wanted to write this article to let you know some wonderful news we’ve received from Dubai last night. 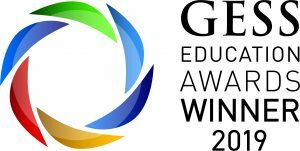 As a company long committed to developing SEN expertise across the globe, it was with great pride that, at last night’s GESS Education Awards ceremony in Dubai, we were chosen as the global SEN Resource Supplier of the Year. Our view of inclusion has always been that, just as there should be no barriers in education when it comes to special educational needs or disabilities, for us to do all we can to improve outcomes for all we needed to support the global education sector. Thanks to our practice-led learning model and next-generation online platform, allied to hugely experienced tutors, we now have course participants in 70 countries. As part of our support for British International Schools, we have two face to face events coming up soon for our renowned CCET course. CCET (Certificate of Competence in Educational Testing) is the gold standard in teacher training for testing in attainment and ability. Additionally, those taking the full CPT3A course are authorised by the JCQ to carry out access arrangements – and can join our MEd SEND programme as if they have 30 credits. Spaces on both courses are limited so if you are interested, please submit your registration soon. Registering takes two minutes, and no payment is taken at this stage. We’ve had very positive feedback last year from this inaugural Access Arrangements Update course which attracted nearly 1,000 participants. Based on that, we are very pleased to confirm that we will be running another Access Arrangements Update at the start of the next academic year – and once again it will be completely free of charge. One of the areas of feedback we’re looking at is the sign-up process, so in the run-up to the next course, we are working on a more user-friendly registration mechanism for participants. As soon as registrations are open, we will make an announcement. For more details, have a look here. We are excited to announce that we come to Qatar this May to deliver one of our face-to-face intensive courses – our established Certificate of Competence in Educational Testing (CCET) qualification. Fancy joining us? Our highly-regarded CCET course is a fantastic qualification, suitable for both primary and secondary schools. It provides you with an understanding of the underlying principles of all psychometric tests and how to apply this knowledge in your setting – you’ll be able to identify the correct test, use it effectively and interpret the results. This includes testing for academic progress as well as some special needs. 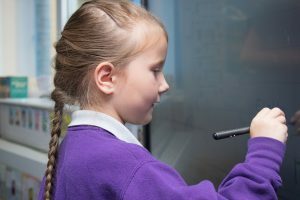 By investing in in-house educational testing expertise, your setting will reduce the need to bring in external providers and will run more effectively as a fully inclusive school. Take a look at our dedicated CCET page online for more information. Who is delivering the course? The CCET course in Qatar will be held on 19-21 May at the Qatar International School in Doha. It will be facilitated by our co-founder and Managing Director Dr Mark Turner. Mark is an experienced educational psychologist who recently became the Life President of Nurtureuk – a charity that promotes access to education for all children. He will be on-hand throughout the 3-day intensive course to facilitate your learning and answer any questions you may have. If you are also looking to become qualified as an access arrangements assessor this academic year, the CCET course can contribute towards completion of our Certificate in Psychometric Testing, Assessment and Access Arrangements (CPT3A). After CCET, the Access Arrangements Course (AAC) can be easily completed online, building on the knowledge you have acquired from CCET and focusing on the exam access arrangements process so that you can complete the necessary documentation in your setting with confidence. Book the CPT3A classic route option online to make a saving. There are limited places available on our CCET course in Qatar. To guarantee your place, enrol now by completing our online booking form – it only takes a few minutes and you do not need to pay anything straight away. If you are unable to make the course in Qatar, don’t worry – CCET can also be completed as a fully-online qualification, available to start whenever you are ready. Are you looking to become qualified as an access arrangements assessor this academic year? If so, our Certificate in Psychometric Testing, Assessment and Access Arrangements (CPT3A) will provide you will all the skills and knowledge required to successfully carry out this role and meet the JCQ requirements. Our highly-regarded CPT3A qualification comprises two modules. 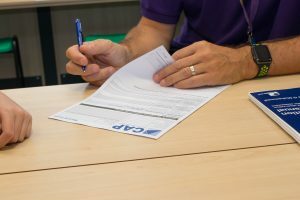 The first is the Certificate of Competence in Educational Testing (CCET) which will provide you with an understanding of the underlying principles of all psychometric tests and how to apply this knowledge in your setting – you’ll be able to identify the correct test, use it effectively and interpret the results. 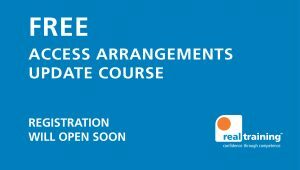 The Access Arrangements Course (AAC) will then build on this knowledge and focus on the exam access arrangements process so that you can complete the necessary access arrangements documentation in your setting with confidence. If you wish to learn at your own pace, you can complete the CPT3A fully online, supported by an experienced and qualified tutor. Alternatively, to fast-track your learning, you can attend one of our 3-day intensive CCET courses followed by the AAC module online or via a 1-day intensive session. The dates of the intensive course are below – we have two CCET intensive courses next month, one in London on 13-15 March and the other in Birmingham on 20-22 March. To complete the full CPT3A, you will need to hold ‘an appropriate qualification to teach’ in order to meet the criteria set by the JCQ for all access arrangement assessors. 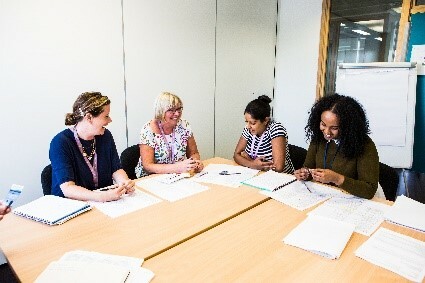 Once you have completed the qualification with us, not only will you be a qualified access arrangements assessor but you will also gain 30 credits at level 7 which you can bring into our SEND Programme to achieve a postgraduate qualification.